The view from Mistral Ranch (Memaloose Vineyards), courtesy of foodwineclick.com. There's no other place like this in the world. 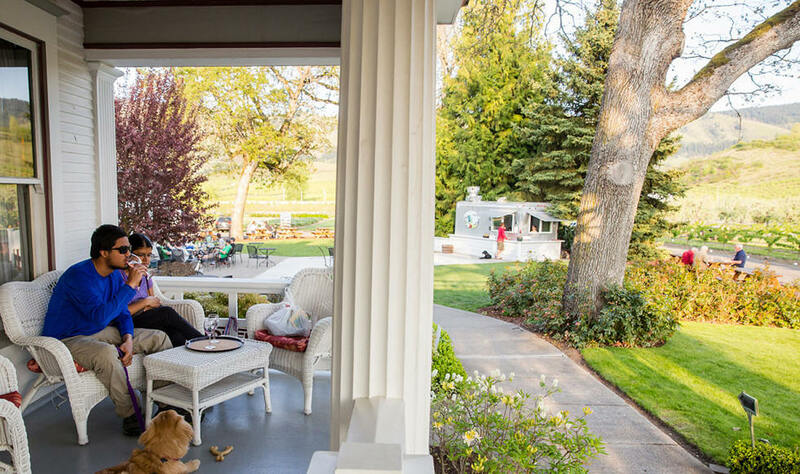 "One hour from Portland, America's most unique AVA* features double volcano views of Mt Hood and Mt Adams, wild beauty, traffic free touring, relaxed tasting rooms and European style white and BIG RED French, Italian and Spanish varietals. Using traditional winemaking techniques or wine blends, the winemakers produce anything from Alberiňo and Zinfindel (11%) to Syrah (9%) and Merlot (6%) to Pinot Noir (31%) and Chardonnay (8%) and 37 other varietals. It's like traveling a "World of Wine in 40 miles". Some terroirs speak in gradations of nuance, Burgundy for instance. The Gorge is the opposite. As one races from sea level to alpine heights and moves from rainforest to desert with extreme geographic & climate changes; there is an amazing diversity of grapes grown here. Nearly any expression of wine is possible. The Gorge wineries are an exploration of the expressions of Gorge wine. The Hood River Valley is eerily similar to the Napa Valley of 70 years ago, cooler, and filled with orchards before the vineyards came. 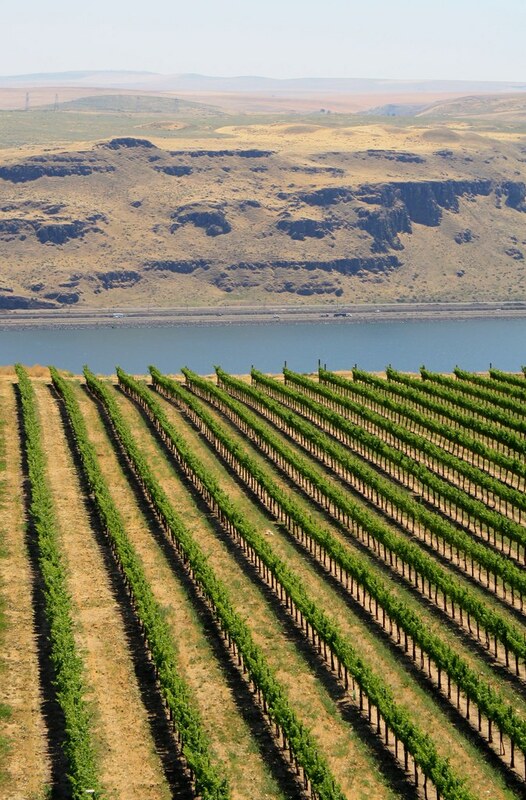 The Columbia Gorge is a potential paradise for wine production." *Fifteen million years ago, volcanoes in eastern Washington and Oregon flooded the valley with molten andesite and basalt. Thirteen million years later, the Cascades erupted through those rock layers. 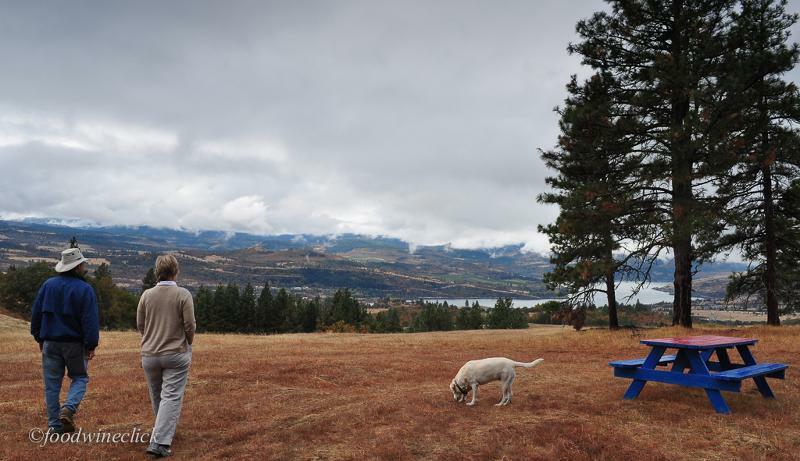 Finally, as the last ice age wound down, roughly 13-15,000 years ago, an enormous lake in Montana breached its glacial dam, and the so-called Missoula Floods drenched the Columbia basin, reshaping the land once again. What this created in the Columbia River Gorge was a liminal zone where thick clouds from the coast are halted, the dry heat of the high desert is cooled, and earth and stone of wildly different ages and makeups are blended — a unique terroir for making wine. ** "A World Of Wine In 40 Miles"
Bonus Stops: Traveling to Hood River there are at least 2 highly recommended bonus stops to enjoy. 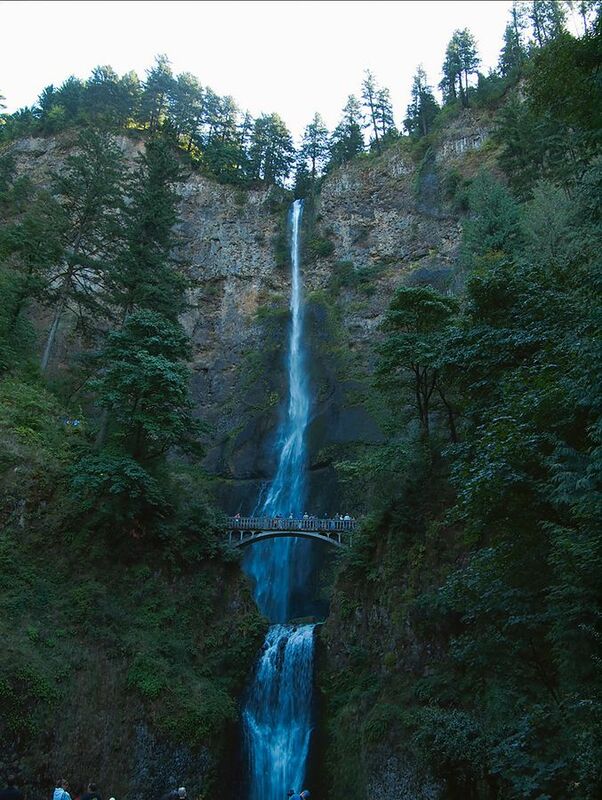 First is Multnomah Falls (about 15-30 minute stop), and the 2nd is Mitchell Point Viewpoint. An easy 10 minute stop just west of Hood River is the magnificent Mitchell Point viewpoint (right). 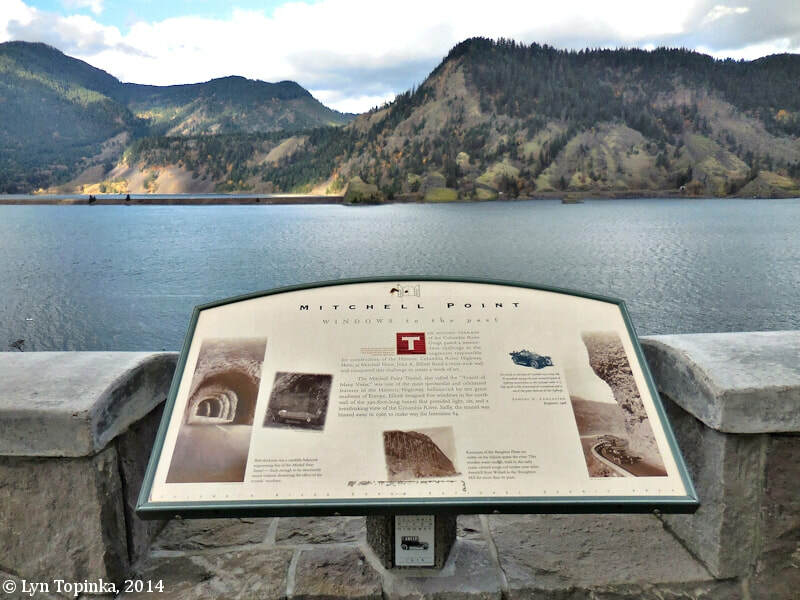 ​The 80-mile stretch of the Columbia River Gorge was carved by the Missoula Floods during the last Glacial Maximum approx 15,000 years ago leaving in its wake spectacular basalt canyons and scenic beauty.